This book looks in depth at current developments in local authority housing finance in England – especially the implications of the policies of the government, the public finances, rent policy, welfare reform including universal credit, issues around the reinvigorated ‘right to buy’, changes to the funding of supported housing including the proposed sheltered housing rent and locally administered budgets for short-term accommodation, the implementation of the homelessness reduction act, the flexible homelessness reduction grant, the affordable housing programme, local housing companies (what they can offer, how to establish them and how to set one up) and new development. What are the implications for local authority housing finance of the government’s policies on housing and welfare? How can councils address the housing crisis by developing new homes? How can councils develop effective self-financed business plans? 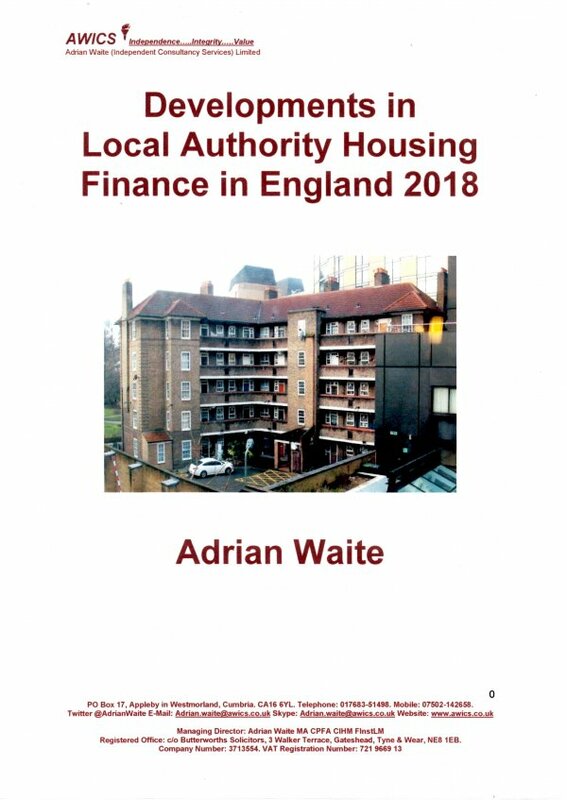 If you want to be up to date with the world of local authority housing finance, this is the book for you! This book is excellent value at £30 plus £3.25 postage and packing. It includes 100 pages and was published in 2018. To order a copy please click the 'add to basket' button below.